Ford adopted “Total Performance” as its corporate mantra back as early as 1961, and dove into Indy, NASCAR and drag racing with full force. 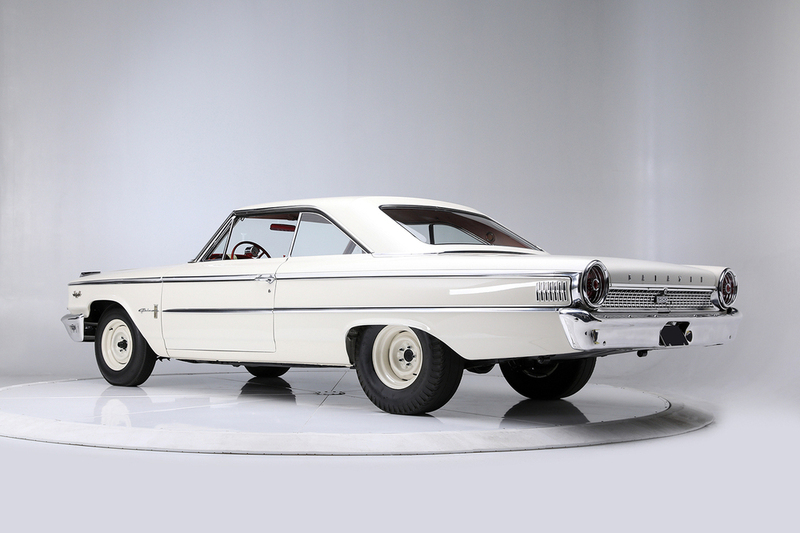 The company, with ambitious racing plans for 1963 that involved making the Galaxie even more competitive than it already was, announced a limited-production “special lightweight performance vehicle” to be offered to drag racers nationwide. 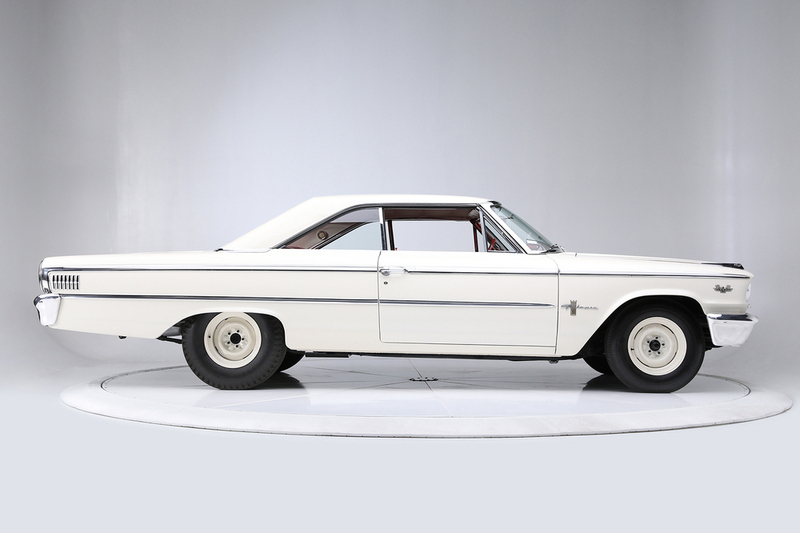 Just 200 were built, all based on the production Galaxie with a more aerodynamic semi-fastback roofline, and all dressed in Corinthian White with red interiors. 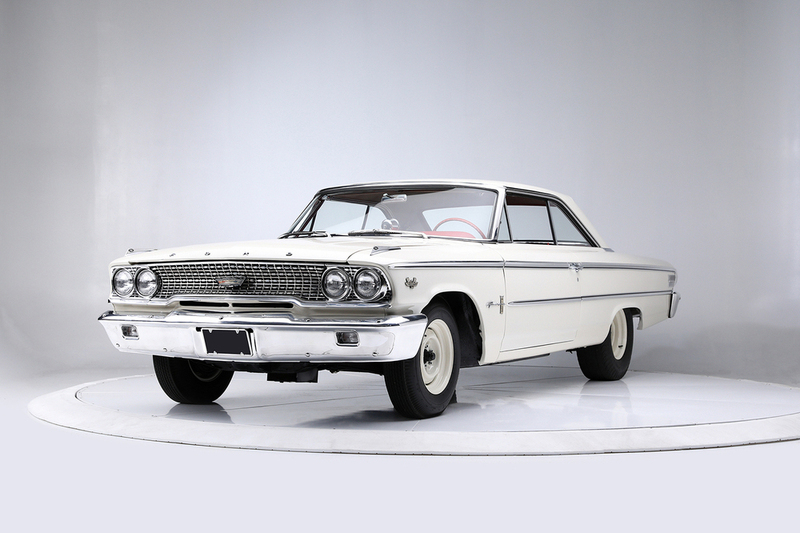 At the heart of the new Galaxie was Ford’s legendary 427ci V8 engine, equipped with an aluminum low-riser manifold sporting factory cast-iron high-performance headers and two Holley 4-barrel carburetors, and factory-rated at 425hp. 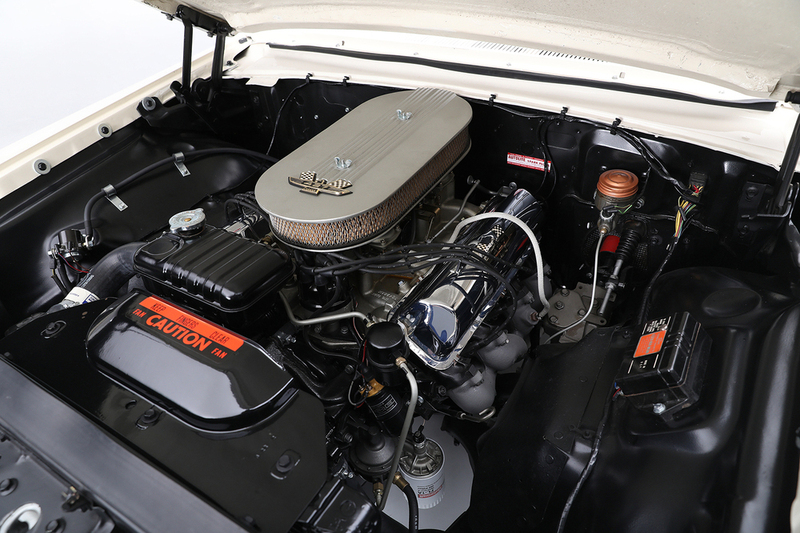 Because of the engine’s immense 480 ft/lbs of torque, an aluminum safety bellhousing was installed in front of a Ford Toploader close-ratio 4-speed manual transmission. Bringing the car to a halt were Police Interceptor brakes. But the Blue Oval knew that, to be more competitive, the car had to lose a lot of weight. 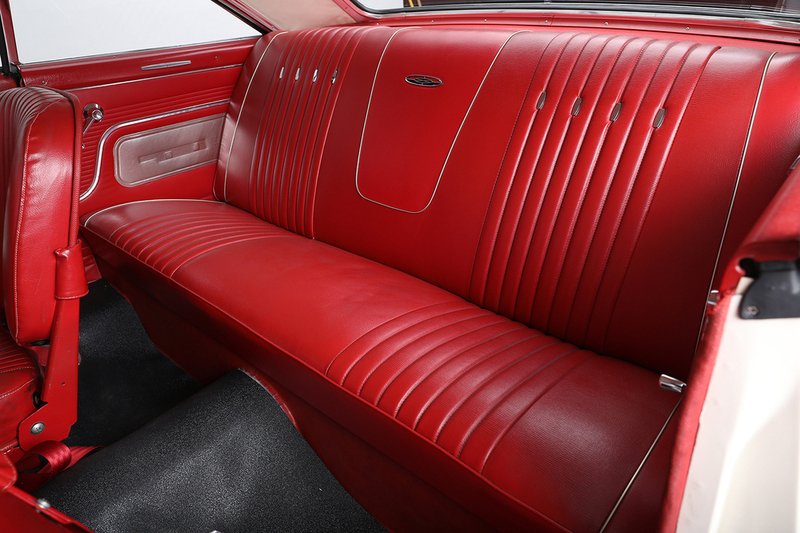 To accomplish this, fiberglass was used for the hood, front fenders, decklid and inner fender liners. 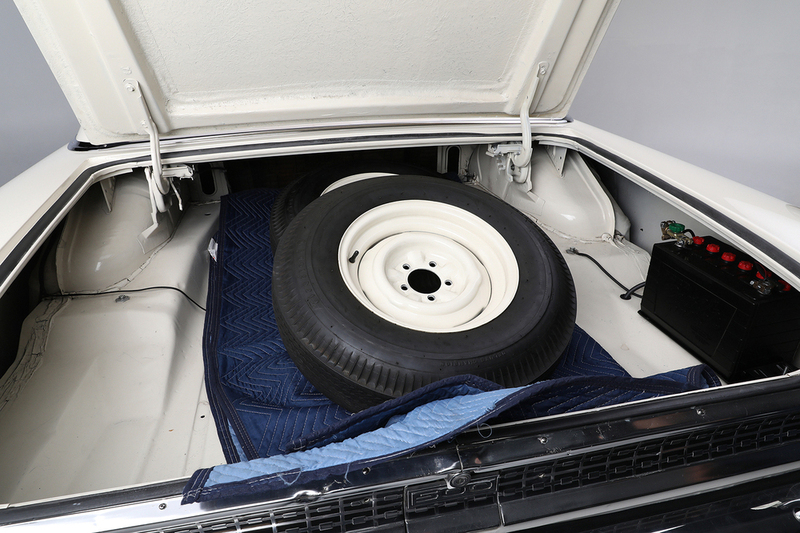 Aluminum front and rear bumpers and brackets, as well as a lightweight frame, were put into play. Many factory-standard items, inside and out, were jettisoned. 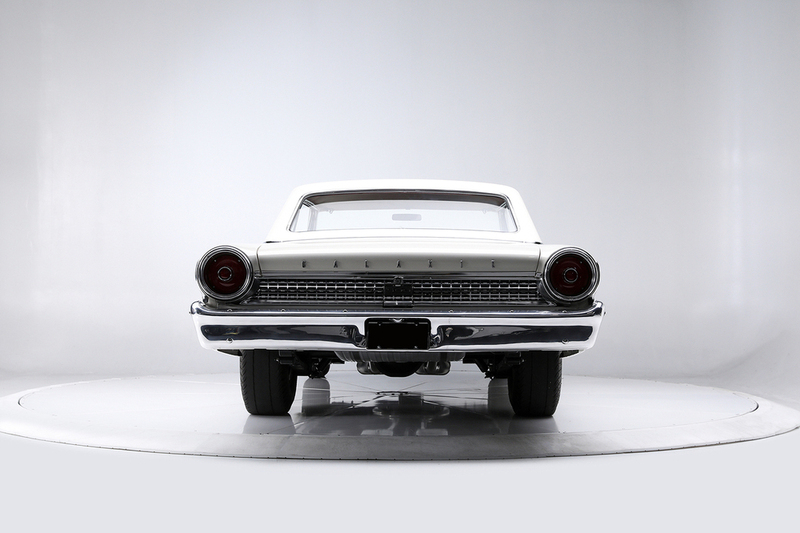 The result was a vehicle some 425 pounds lighter than a fully equipped Ford Galaxie 500 XL hardtop. 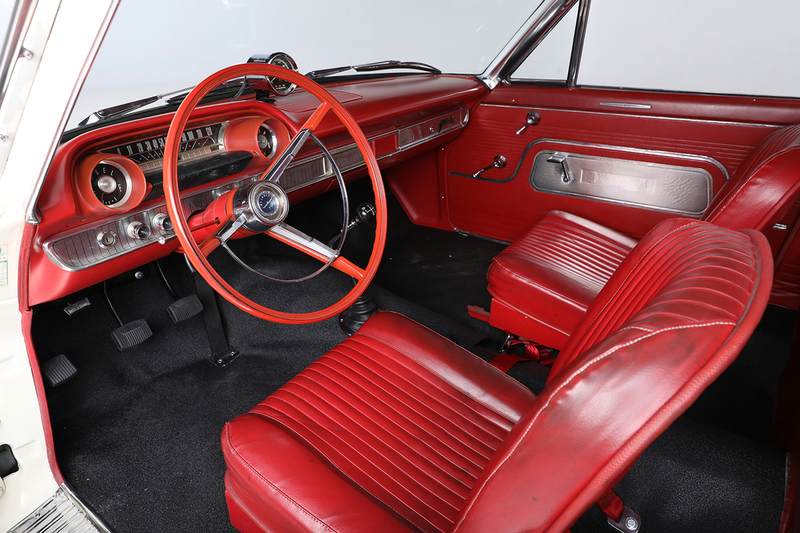 This example, with just over 400 miles on the odometer, is currently owned by the nephew of Ford Drag Racing legend Les Ritchey. 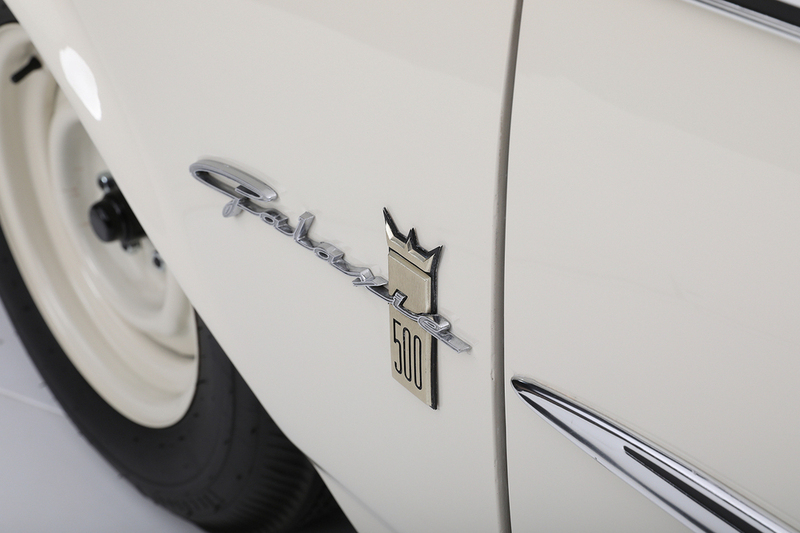 Discovered in an Arizona collection of old drag cars, the current owner authenticated the Galaxie and then took it with him to California, where it was meticulously restored. 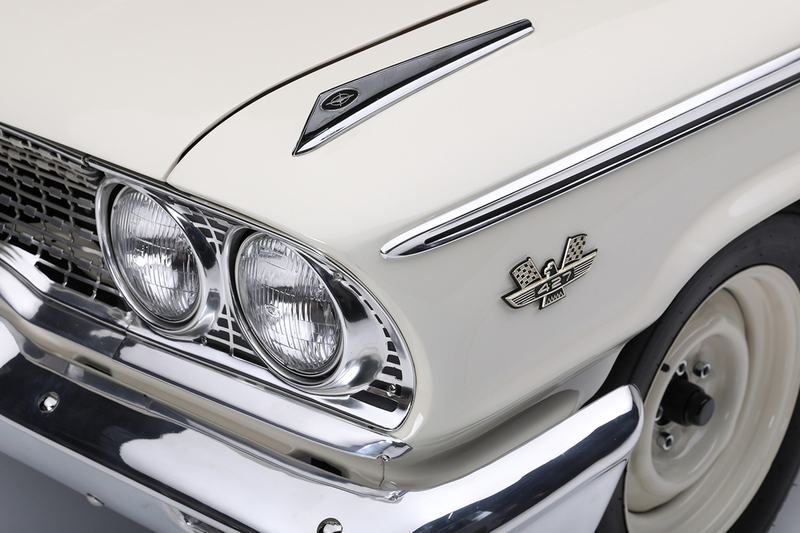 Since its restoration, the car has been shown at a number of events in Southern California. 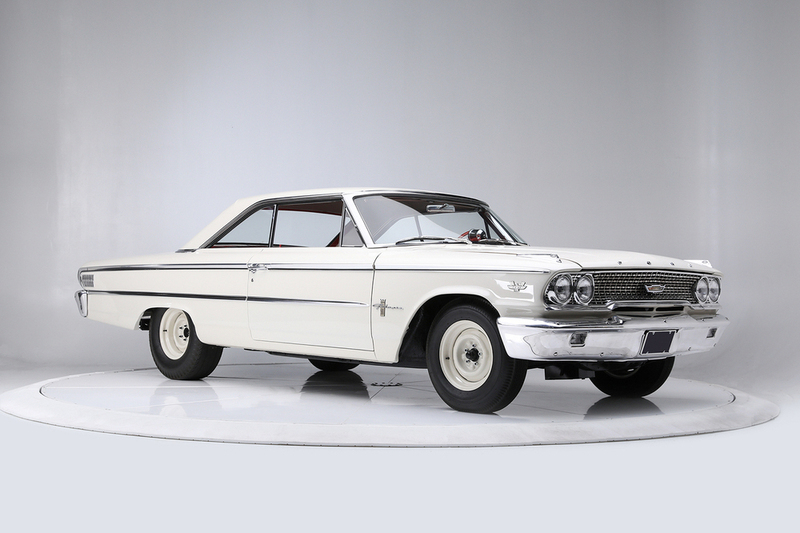 It is unquestionably a rare example of Ford drag racing history. IMPORTANT! Unless otherwise stated, buyer should assume vehicle is non-matching numbers and mileage to be non-actual. 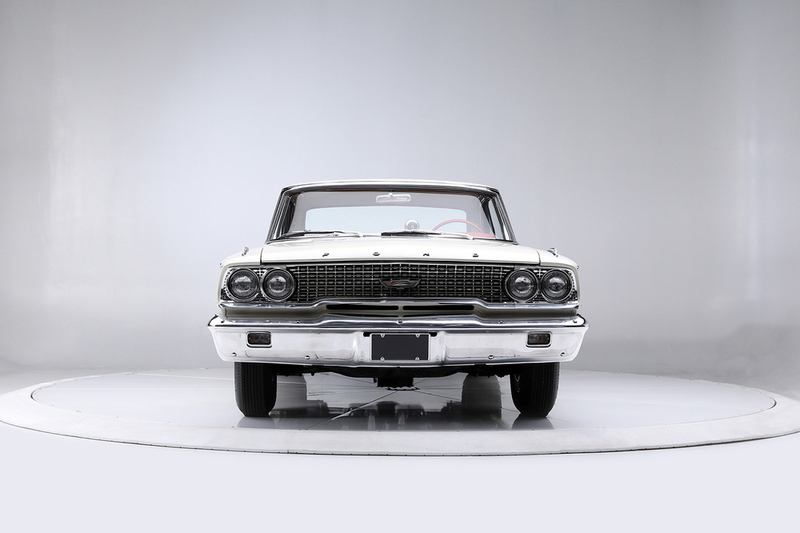 All statements contained above, including without limitation statements concerning condition, genuineness, or authenticity, origin or provenance, previous use or ownership, manufacturing or restoration processes, year or age, serial number, make model, or mileage, or any other representations regarding this vehicle are made by seller either as expressions of opinion or for ease of identification only, and they are not to be relied upon by a buyer as representations of fact. Buyer should conduct any inspections and examinations necessary to satisfy himself of all material facts before making purchase. Vehicle is sold “AS IS, WHERE IS,” with no warranty, express nor implied. *This calculation is for demonstration purposes only. Actual interest rates, terms, down payments and monthly payments may vary and are subject to credit approval. Not all applicants will qualify.